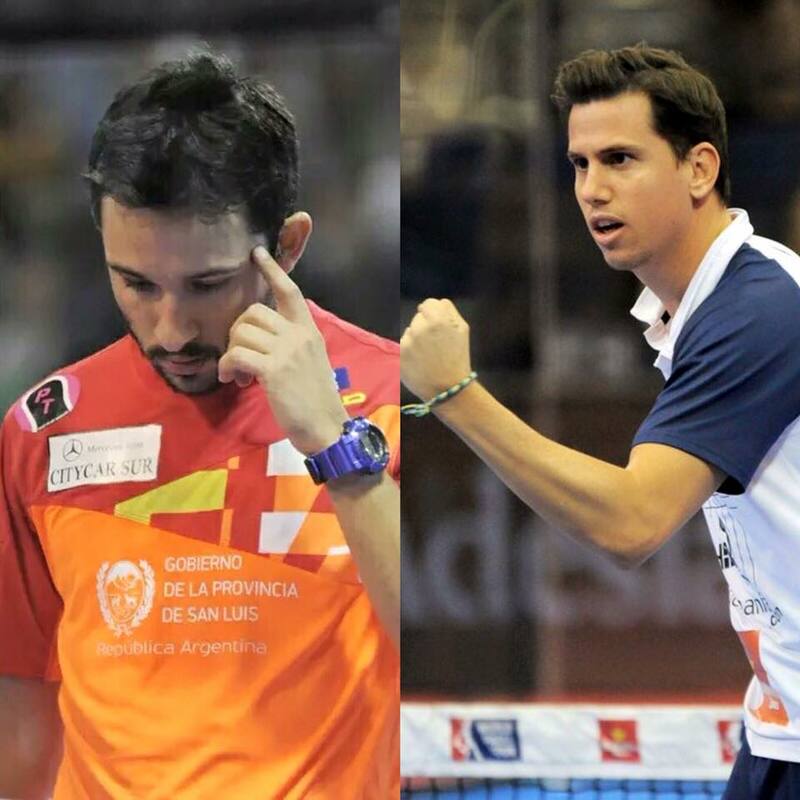 Do you know Sanyo Gutierrez (Arg) and Paquito Navarro (Esp)? No? You better get to know them if you plan on seriously following professional padel. I introduce you to them. As of today, they are shinning stars and a great project of enduring no 1. These are the guys that defeated Fernando Belasteguin (Arg) -the no.1 padel player in the world during the last 14 years- and his teammate Pablo Lima (Bra) for an impressive 6-4 6-2 this weekend at the Valencia Master WPT. 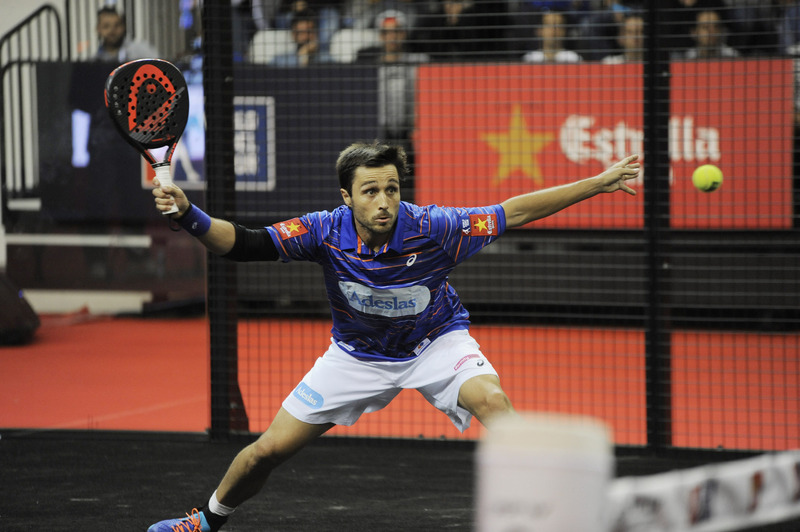 Padel got shaken two years ago hard, very hard, when Belasteguin and Juan Martin Diaz (Arg) decided to split after 12 years standing on the no1. Apparently, they had gotten bored with winning. And honestly, many of us, loyal viewers of professional padel, got bored at watching them win as well. The day they split, things got exciting at padel again. While Belasteguin immediately announced his enduring partnership with Brazilian Pablo Lima, Juan Martin went on to play with Juani Mieres (Arg/Spa). While Juan Martin has been changing partners often in search of regaining his highest performance -Maxi Sanchez (Arg) and Cristian Gutierrez (Arg)-, Belasteguin got immediately successful with Lima and till today he has been almost unbeatable. And this is where Sanyo and Paquito get into the picture. At the end of 2015, there was no sign of Belasteguin stopping. Due to Lima’s injury at the beginning of that year, he partnered with Willy Lahoz -and almost retired legend- and even won two tournaments in a row. Since then, back with Lima, who could stop the almighty “Bela”? Was professional padel going to get boring again with Bela winning non-stop? When Sanyo announced his partnership with Paquito we all clapped. They were our only hope for beating Bela. Sanyo, is a magician that uses a padel racket in place of a wand. He manages the tempo of a match like no other. Paquito is a the most talented Spaniard we have seen in a long time; a true Spanish stallion. But both are -or were- as mentally rough as gifted. Their bad days were worse than bad. Their good days were a joy. Back in 2015, when they made the big announcement, we wondered: what would happen when you put these two guys together? Would it become a chaos or magic? Yesterday we got the questions answered: we got 2x magic.